1. Is it relevant to your goals? 2. Do you sufficient strength/ mobility/ stability to perform the exercise option well? 3. Do you have the equipment needed? 4. Does it challenge you enough? 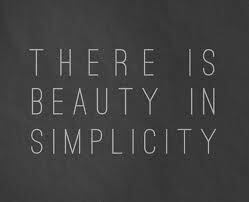 Let’s not over complicate matters, keep it simple and add in some variety as needed, but let’s look at the points above. 1. Is it relevant. If your goal is fat loss, then may I suggest that loads of isolation work is unnecessary at first. Sure, everyone likes blasting a body part everynow and again, but your goal dictates that you should use big movements that involve lots of muscle groups and work movements not individual muscles. Think deadlift and squat variations. With the squat for example, I would usually go with goblet squats until you can handle a 24 or 26kg for comfortable sets of 10, then progress to the front squat and finally, if appropriate, the back squat. And in all honesty, regardless of your goal, you really need to be squatting! 2. This is the big one, can you move well enough, stabilise well enough and are you strong enough for the exercise you want to do? Take the Rear foot elevated split squat (a.k.a. the bulgarian split squat) as an example. Great exercise for the legs, hips and core but if you can’t get into position or aren’t stable enough once you get there to work through a decent range of movement, then you need to regress until you find a suitable option. Keeping your back foot on the floor in a static lunge, or holding on to a support will help assuming no bigger issues are present. Once you gain confidence at one option on an exercise then you can challenge yourself with higher loads or a less stable position as progressions. If you pick a training plan that calls for a range of equipment that you don’t have, then you aren’t going to be sticking with the plan all that long. Sure, there are alternatives to most exercises but guess what? If you swap out an exercise, not talking regressing to find your level, I’m talking full swap, then you aren’t doing the training plan anymore! When picking exercises, think not only of the equipment you have, but also where in the gym the equipment is situated. Don’t superset 2 exercises that are diagonally opposite each other in far flung corners of the gym, you’ll piss off the rest of us in the gym and take up time crisscrossing the gym between sets! 4. Push ups are great. I really like them as an exercise but there are limitations. If you do them well. Once the push up is mastered, then you have to challenge yourself, add a weight vest for an external load, raise your feet off the floor, destabilise your support to challenge yourself and continue to make progress. eventually though, if you want to continue to progress you have to move on to a dumbbell press or bench press option. Not that you would give up on the push up entirely, everyone , regardless of ability level, can benefit from pushups in there program, but as a primary exercise you will eventually move on. With those thoughts in mind, hopefully your exercise choices have become a little clearer!